Stay Tuned, Site is still under development! CMNDMR is Proudly connected to the BrandMeister Network! CMNDMR (Central MN DMR) repeater has been installed since October of 2017. The repeater is owner by W0SAV and is a Motorola SLR 5700 running on the BrandMeister network. 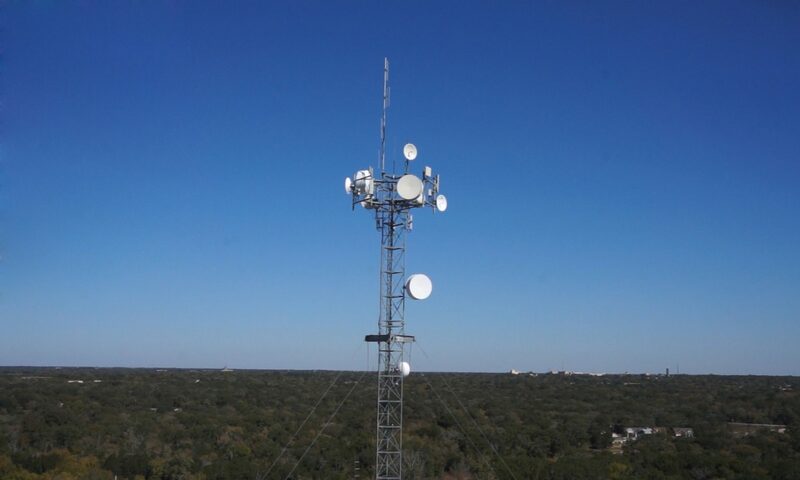 The repeater is located on a hill south of Cold Spring, MN and north of Kimball, MN on a tower that is 350′ tall. The repeater is using a Ubiquity PTP link to get internet to the repeater location over a 5.8ghz link. The long term goal is to have this repeater connect to BrandMeister’s network over a ARDEN MESH (Amateur Radio Emergency Data Network) node covering strategic locations in central Minnesota. The repeater is running at 2.5 watts of power feeding a TPL 70cm amplifier that is outputting 85 watts into a 8 cavity Duplexer. The antenna is located 85′ up on the tower fed with 125′ of 1/2 hard line. Please note that local traffic on TimeSlot 2 will not be represented on this page above and the CMNDMR repeater is only linking TimeSlot 1 to the BrandMeister servers to allow Timeslot 2 to be completely reserved for local traffic.